Son of William Walsingham of Scadbury, Chislehurst, Kent, by Joyce, dau. of Sir Edmund Denny of Cheshunt, sister of Sir Anthony Denny. Educ. King's, Camb. 1548; travelled abroad 1550-2; G. Inn 1552; Padua 1555. Married first, 1562, Anne (d.1564), dau. of Sir George Barnes, lord mayor of London, wid. of Alexander Carleill, s.p. ; and secondly, 1566, Ursula, dau. of Henry St. Barbe of Ashington, of Somerset (b. 1489 - d. 1567) and Eleanor Lewknor, wid. of Sir Richard Worsley of Appuldurcombe, Isle of Wight (d. 1566). Suc. fa. Mar 1534. Kntd. 1 Dec 1577. J.p. Herts. 1564, q. by 1574; j.p.q. Hants from c.1573, custos rot. by 1577; j.p.q. Surr. from 1579; recorder, Colchester from 1578; high steward, Salisbury, Ipswich 1581, Winchester 1582, Kingston-upon-Hull by 1583, King's Lynn 1588; Ambassador to France 1570-3; principal secretary and PC 21 Dec. 1573; chancellor of the Garter 1578-87; envoy to Netherlands Jun-Sep 1578, to France 1581, to Scotland 1583; gov. mines royal 1581; member of commissions to try William Parry 1585, Babington conspirators Sep 1586, Mary Stuart Oct 1586; chancellor, duchy of Lancaster 1587. Walsingham was born into a family of London vintners who by the early fifteenth century had become wealthy enough to buy a manor in Kent. He was closely related through his mother to one of Henry VIII's ministers, Sir Anthony Denny, and his father, a lawyer, died when he was a child. His mother at once remarried, and it was in the house of his stepfather, a relation of Henry Carey, 1st Baron Hunsdon, and thus connected through the Boleyns with the future Queen Elizabeth, that Walsingham spent his childhood. At the age of 16 he matriculated at the protestant King's College, Cambridge, where Sir John Cheke was provost. Here he must certainly have met Cheke's son-in-law, the future secretary William Cecil. After two years at Cambridge Walsingham, conventionally enough for one of his background, first travelled abroad, then went to an inn of court. When Walsingham was 23 years old, the catholic Queen Mary's accession to the English throne occurred, and he therefore voluntarily exiled himself rather than give up his religion. Under Mary there was no chance of preferment for a protestant whose close relations were associated both with the attempt to make Lady Jane Grey Queen, and with the Wyatt rebellion. He put to advantage his five years sojourn in foreign countries. He studied with intelligent zeal the laws, languages, and politics of the chief states of Europe, and thus acquired the best possible training for the polictical and diplomatic career. The diplomatic representatives of the country abroad received most of their instructions from Walsingham, and he strenously endeavoured to organize a secret service in so thorough a basis that knowledge of the most furtive designs of the enemies of England might be freely at the hands of his sovereign and of his fellow-ministers. He practiced most of the arts that human ingenuity has devised in order to gain political information. Knowledge is never too dear, was his favorite maxim, and he devoted his private fortune to maintaining his system of espionage in fullest efficiency. By 1555 he was in Padua, studying civil law, and here he became ‘consiliarius of the English nation’, that is spokesman for the English law students in his faculty. Between Apr 1556 and Nov 1558 he visited Switzerland and was for a short time at Basle. On his return to England, soon after Elizabeth's accession, he stayed on his father's estates in Kent until a fortunate marriage led to his renting the manor of Parkbury, Hertfordshire, which was his country residence until he acquired Barn Elms in 1579. All this time, however, he was much at court, assisting Sir William Cecil, who engineered his return to the Commons for Bossiney in 1559 through Francis Russell, 2nd Earl of Bedford. A memorandum by Cecil on forthcoming parliamentary business, written in all probability before the 1563 Parliament, notes ‘Mr. Walsingham to be of the House’, and Walsingham was returned both at Banbury (through Sir Francis Knollys) and at Lyme Regis (through the 2nd Earl of Bedford). He chose to represent Lyme Regis. Very probably he was already being employed on intelligence work by Cecil, but definite evidence of the connexion is lacking before Dec 1568, when he proffered Cecil two sibylline opinions on the political situation, opinions which were to be reiterated throughout his career: ‘there is less danger in fearing too much than too little’, and ‘there is nothing more dangerous than security’. Security was to be the keynote of Walsingham's policy, whether he was trying as Ambassador to France to negotiate a treaty binding the French government to help England against a Spanish attack; attempting to persuade Elizabeth to send help to the protestants in Scotland and so counteract French influence there; or unravelling the tangled skeins of plots concerning his chief enemy, ‘that devilish woman’ the Queen of Scots. Even his protestantism was modified through seeing the dangers of division in the face of the Catholic threat, and he constantly reminded the puritans of their great cause to thank God for that we presently enjoy, having God's word sincerely preached and the sacraments truly administered. The rest we lack we are to beg by prayer and attend with patience. Probably in Aug 1566, he took as his second wife, Ursula St. Barbe. She was the widow of Sir Richard Worsley of Appuldurcome, Isle of Wight (d. 1566) and by him had two sons, John and George. Walsingham’s secretary, Robert Beale, was married to Ursula’s sister Edith. In 1567, Ursula’s two sons by Worsley were both killed in an accidental gunpowder explosion. There followed a lengthy legal battle with her brother-in-law over inheritance rights which was finally settled, in Ursula’s favor, in 1571. Walsingham returned to England in Apr 1573 with a rooted distrust of Charles IX and Catherine de Medici and a settled conviction that there was little interest there in the fate of Mary Queen of Scots, whom Elizabeth could therefore dispose of without fear of military intervention from France. In England, the Walsinghams lived in Seething Lane in London, and at Barn Elms in Surrey. He became one of the Queen's principal secretaries of state and remained one of her top advisors for the rest of his life. It was during this time that he became involved in obtaining intelligence from abroad. He showed a special genius for the secret service work which defended the English crown and England's national independence, and as a result he built up a very effective and elaborate political spy system. Out of his own pocket, he employed several agents in foreign courts and was able to uncover many plots and conspiracies that threatened England in one way or another. 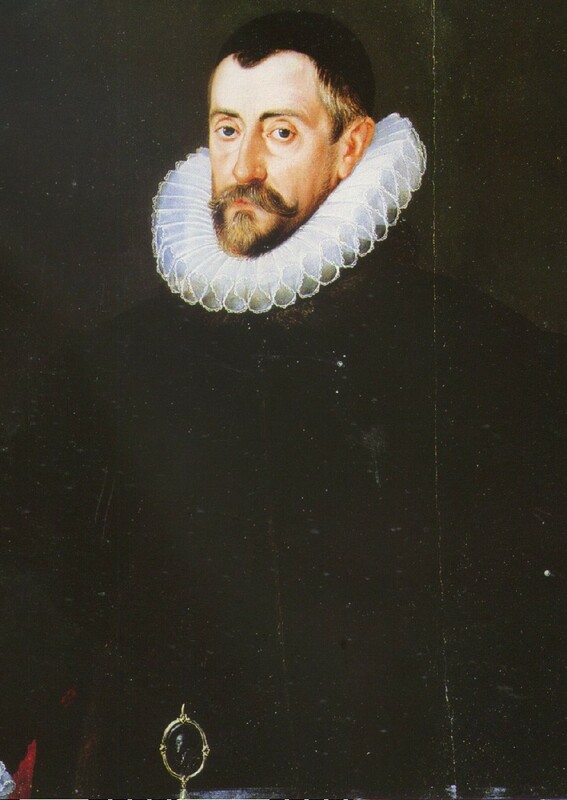 Sir Francis Walsingham was a very temperamental man who was often capable of biting sarcasm, and he never hesitated to use torture when questioning a person if he thought it was needed. However, he only used it as a last resort, and he surprisingly had a reputation for being charming and generous at times. Unfortunately for Walsingham it was not only Elizabeth's parsimony that stood in his way but her personal antipathy towards him and his ‘gloomy prophecies’, diluted though this was by her recognition of his ability, honesty and integrity. All this he well understood, and for his part he made no secret of his impatience with her for reserving final decisions for herself: ‘I would to God her Majesty would be content to refer these things to them that can best judge of them, as other princes do’. There was not a councillor in her service ‘who would not wish himself rather in the furthest part of Ethiopia than to enjoy the fairest palace in England’. Her procrastination he particularly detested: 'For the love of God, madam, let not the cure of your diseased state hang any longer on deliberation. Diseased states are no more cured by consultation, when nothing resolved on is put into execution, than unsound and diseased bodies by only conference with physicians, without receiving remedies by them prescribed'. The Queen might throw her slipper at him, or tell him he was of no use except as ‘a protector of heretics’; Walsingham might make his genuine ill-health an excuse to absent himself from court; but the fact remains that these two incompatible personalities worked together for nearly 20 years without an open breach. Yet all the time, as he told Leicester, he knew that the Queen would not use his services if she could dispense with them. In what lay Walsingham's strength? In the absence of the personal bond that united the Queen with other leading courtiers, how was Walsingham able to maintain his position? Long before he became secretary he had been given the task of dealing with the early stages of the Ridolfi plot, and thenceforward he built up an intelligence system unmatched in its day through which he was able to turn to advantage conspiracies such as those of Throckmorton and Babington. By combining information from official sources at home and abroad, from merchants, and from undercover agents, many of whom figure (some tragically) in these pages, he was able to make a unique contribution to the stability of Elizabeth's throne. If some of his actions, perhaps those concerning the Babington conspirators, appear to posterity reprehensible, he believed that the end justified the means. As he put it at Mary's trial: ‘I call God to witness that as a private person I have done nothing unbeseeming an honest man, nor, as I bear the place of a public man, have I done anything unworthy of my place’. Fortunately for him, he was ill throughout the period when the despatch of Mary's death warrant led to the imprisonment of his colleague, William Davison, and the temporary disgrace even of Burghley. Elizabeth, of course, was in no doubt of his attitude: she told Davison to call at Walsingham's house to show it to him for ‘the grief thereof’ would ‘go near to kill him outright’. Within a month of the execution he sent Maitland a closely reasoned document illustrating the inadvisability of any retributive action over Mary's death, followed by a private assurance to James VI of his personal support in the question of the English succession. With Burghley out of favour, the Queen could act without restraint in the weeks following Mary's execution, and in Mar 1587 she alarmed Walsingham by sending a sharp letter to the French King. ‘Your Lordship may see’, he wrote to Burghley, ‘that our courage doth greatly increase, for that we make no difficulty to fall out with all the world’. It was no secret that Felipe II of Spain intended to invade England, and at this very time Walsingham was receiving hundreds of intelligence reports on the subject. But all his efforts to persuade Queen and Privy Council to prepare for war were hampered by his lack of personal influence on the Queen and by the pre-eminence of the more cautious and peace-loving Burghley, who, as chief minister, was prepared to support the Queen in her peace overtures to Parma, on the very eve of the Armada's departure. At this time also his relations with Leicester began to deteriorate. Until 1587, Leicester and he had been united by common interests, including a forward protestant policy, but personal and political causes now combined to lead to an estrangement. Walsingham's son-in-law Phillip Sidney had left debts necessitating the sale of estates, which Leicester was unhelpful in furthering at the same time as he opposed Walsingham's moves to become chancellor of the duchy of Lancaster. Either as cause or effect of these personal disagreements, Walsingham now thought that Leicester, whom he had hitherto supported as governor in the Low Countries, had hopelessly bungled matters. Thus, until the defeat of the Armada, followed immediately by Leicester's death, Walsingham was isolated on the Privy Council, though he had compatible relatives and friends among the ministers and diplomats of the second rank, such as Mildmay, Davison, Henry Killigrew, Beale and Randolph. Walsingham was not returned at the start of the 1572 Parliament, but on his return from France he took, as befitted his dignity as a Privy Councillor, a Surrey county seat vacated by the succession to a peerage of Charles Howard, and Walsingham continued to represent Surrey until his death. In 1573 he had his first appointment as Secretary of State. In 1576 he was named to three minor committees: on debts (14 Feb), coins (15 Feb) and wharves (13 Mar). He made two interventions in 1581, one on choosing the Speaker at the start of the session (16 Jan), one on Arthur Hall at the end (18 Mar). ‘Both Mr. Secretaries’, Walsingham and Thomas Wilson, were ordered by the House on 3 Mar 1581 to confer with the bishops on religion. In 1584 he was appointed to a committee concerning letters patent granted to Sir Walter Raleigh (14 Dec), but no further mention of him is made in the journals either in this Parliament or in his last two Parliaments. It is true that as a Privy Councillor and a county Member he could have attended other committees, but he who was at the very centre of affairs made no major speech in the House, and his private papers contain only one reference of any significance to Parliament, a report to Henry Hastings, 3rd Earl of Huntingdon in 1581. It is clear that the House of Commons held little appeal for him, but one wonders why the government did not make more use of him in the House where both his puritanism and his sombre manner might have proved assets. That, unlike his brother-in-law Peter Wentworth, he regarded Parliament as no place to advocate measures for church reform, is clear from a letter he wrote to one of his own religious persuasion who was urging him to take a more positive line: 'If you knew with what difficulty we retain what we have and that the seeking of more might hazard (according to man's understanding) that which we already have, you would then deal warily in this time when policy carrieth more sway than zeal'. Similarly Walsingham exercised little parliamentary patronage, despite having almost boundless opportunities to do so. In 1589, the one Parliament when he was chancellor of the duchy of Lancaster, at most a dozen Members for duchy boroughs were his nominees, including Thomas Jermyn (Sudbury), a nephew of his friend Sir Robert Jermyn; and Francis Harvey (Knaresborough), who had been nominated by Walsingham at Colchester in 1584. The others were lawyers or minor duchy officials. Outside the duchy he could have nominated at boroughs where he was recorder or high steward, but again he did not do so. Colchester's offer of both seats in 1584 may well have been spontaneous, and in 1586 he was so late in applying that the election had already taken place. Far from seeing this as an insult as other patrons did in like circumstances, he at once concurred with their choice. At Winchester in 1584 and 1586 he presumably nominated John Wolley, the Latin secretary, and in 1589 his own servant Francis Mills, but he made no use of his official position at King's Lynn, Hull or Ipswich to secure seats, though interestingly enough he asked Ipswich to put in his nominee as town preacher. Several of his servants represented boroughs where his friends had influence: in 1584 Lawrence Tomson was returned at Melcombe Regis, with the Earl of Bedford as his patron; so was Francis Mylles at Poole, probably by the Earl of Leicester. But the total of Walsingham's known nominees remains small. The last two years of his life were a long struggle against ill-health, with recurring attacks of an internal complaint from which he had suffered since his youth. Ill as he was, he continued with his official work, attending a Council meeting only a fortnight before his death, which occurred at his town house at Seething Lane on 6 Apr 1590. Because of ‘the greatness of my debts, and the mean state I shall leave my wife and heir in’, he was buried ‘about ten of the clock in the next night following ... in Paul's church without solemnity’. His will made in Dec 1589 and found ‘in a secret cabinet’ on the day after his death, is short. Sir Francis died in the house in Seething Lane and was buried in St. Paul’s. 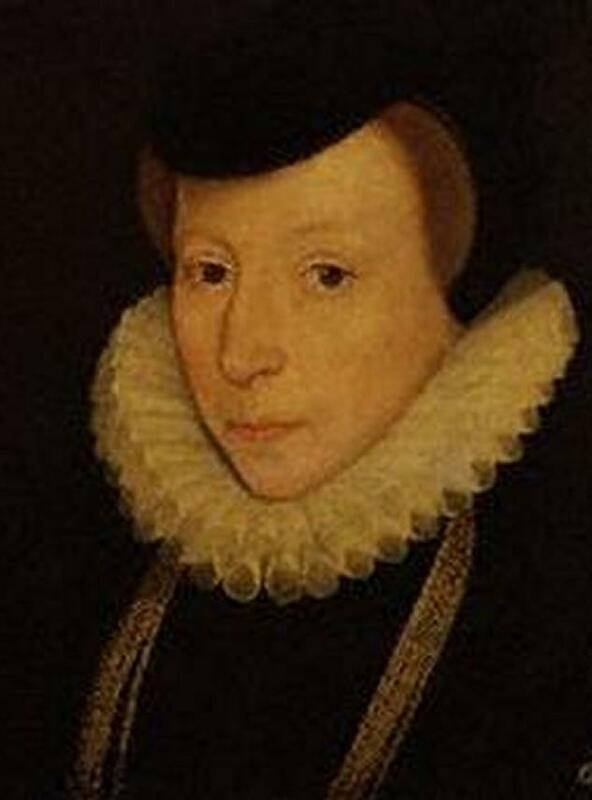 His daughter Frances, Phillip Sidney's widow, who later married the Earl of Essex, was to receive £100 p.a. during her mother's lifetime, in addition to £200 a year already settled on her; the sole executrix, ‘my most well-beloved wife’, a shadowy figure to posterity, was to be residuary legatee. The overseers, Walsingham's ‘loving brethren’ Edward Carey, Robert Beale and William Dodington were each to have £10 worth of plate. Ursula was the sole executor of his will. Walsingham constantly complained about his financial difficulties and there is no doubt that he died heavily in debt to the Queen, but whether this means that his services were not adequately rewarded it is of course impossible to determine. He obtained land, leases of customs in the outposts of north and west England and grants for the export of beer and cloth. Perhaps these were insufficient to cover the expenses of his intelligence operations. The findings of an inquiry some years after his death suggest that his debts to the Crown were offset by those the Crown owed him. Many theological and philosophical works were dedicated to Walsingham, but he was himself author of only a few pamphlets. He established a divinity lecture at Oxford, to which he wanted the puritan John Reynolds appointed, and he campaigned for a revival of the study of civil law there. He contributed to the voyages of Drake, Frobisher, the Gilbert brothers and John Davis, and Hakluyt dedicated to him the first edition of his Voyages. His friend Dr. Dee interested him in the preparation of Davis's charts of the north-western voyages. After a marriage that had lasted twenty-four years, Ursula St. Barbe lived on her own for a further twenty-two. Ursula died at Barn Elms and was buried beside her husband in St. Paul’s. In addition to other bequests, she left £50 to her waiting woman, Alice Poole.